The School of Contemporary Chinese Studies at the University of Nottingham Ningbo China. Chinese communist revolution and “continuous revolution” profoundly transformed Chinese society and shaped the course of Chinese, East Asian and world history. In post-revolutionary China, the reassessment of the Chinese revolution and its political legacy has always concerned the academic and public spheres. During the 1920s and 1930s, there was a scholarly movement which greatly challenged traditional Chinese historiography. Scholars used textual criticism to question the historicity of such myths of Chinese antiquity as the Three Sovereigns and Five Emperors. They are known as the doubting antiquity (yigu) school. In the recent two decades, similarly, it appears that there is a trend of “doubting antiquity” in the studies of the Chinese revolution. Under this political and academic atmosphere, the official historiography of the Chinese revolution received merciless criticism and powerful falsification. This movement has resulted in some brilliant scholarly products; however, it proves to be a movement with more destruction than construction. Moreover, the movement of doubting antiquity was from the beginning not simply driven by the academic will of truth, but often by the political will to change. Yielding to the impulse of destruction, the doubting of the Chinese revolution as “antiquity” can easily be led into the trap of annihilating “antiquity.” As a result, the new historiography of the Chinese revolution can hardly establish its own academic mission, thereby promoting more profound exploration and understanding of the historical meanings of the revolution; instead, it easily becomes a political tool of certain ideologies or -isms. 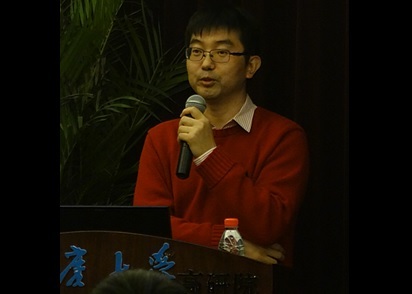 At the recent public lecture hosted by the Institute for Advanced Studies in Humanities and Social Science at Chongqing University on 2 December 2013, I critically reviewed the trend of yigu and its existing problems, and, called for moving beyond it. A close reading of the archival sources related to the “land question,” reveals the limits of the doubting antiquity school. In order to search for the dao(s) of the Chinese revolution, it is necessary to transcend the doubting of antiquity and transform it into, to borrow Feng Youlan’s term, the interpretation of antiquity (shigu) with more academic reason. My study of the land reform movement in the CCP-controlled “old-liberated areas” during the Civil War reassesses the Chinese revolution under a civilizational horizon. That is, to incorporate the communist revolution into the historical course of Chinese civilization and reexamine it with a vision of “general history” in order to reveal the civilizational dimension of the revolution. Certainly, it suggests neither that the communist revolution is an inherent necessity of Chinese civilization nor that it is “the way it ought to be” of Chinese civilization; rather, it aims to understand “the way it is” of the Chinese revolution. For example, the campaign of mass-involved party rectification (gongkai zhengdang) during land reform demonstrates a distinctive political mechanism of rule-by-virtue (dezhi) democracy. As the term reveals, dezhi democracy is a combination of the ancient and the modern. Its cultural root lies in the political tradition of cultivating virtues. Meanwhile, under the revolutionary situation, it intertwined with modern mass democracy. Another example is the mass-involved practice of turning hearts-and-minds (fanxin) during land reform. It is arguably the core mechanism of the Chinese revolution. However, fanxin is obviously not a product of the guidance of Marxism-Leninism, but rather a modern extension of Confucian tradition of jiaohua, i.e. transformation of the self and others through education. Diverging from the doubting antiquity school, I suggest that the school of interpreting antiquity aims instead to reveal the civilizational connotations of the Chinese revolution at a profound level, which transcends contemporary ideological disputes. In the future the study of the Chinese revolution will enter into an era of shigu.